What is a Minnow Board Max? Bunches of GPIO and other pins, for more details see here. The key features here is that the MBM is 64Bit, runs the UEFI bootloader, and is an Intel architecture. Which means, it will boot Tails. Tails is a live operating system which boots from removable media. It’s designed to protect your privacy online from the ground-up. All communication is routed through Tor, the USB is encrypted, and various crypto tools are installed by default like OTR and GPG. The Tails website explains Tails the best. Why run Tails from the MBM? Fair question. It’s much easier to run Tails from a dedicated pc, but I like low-power stuff. 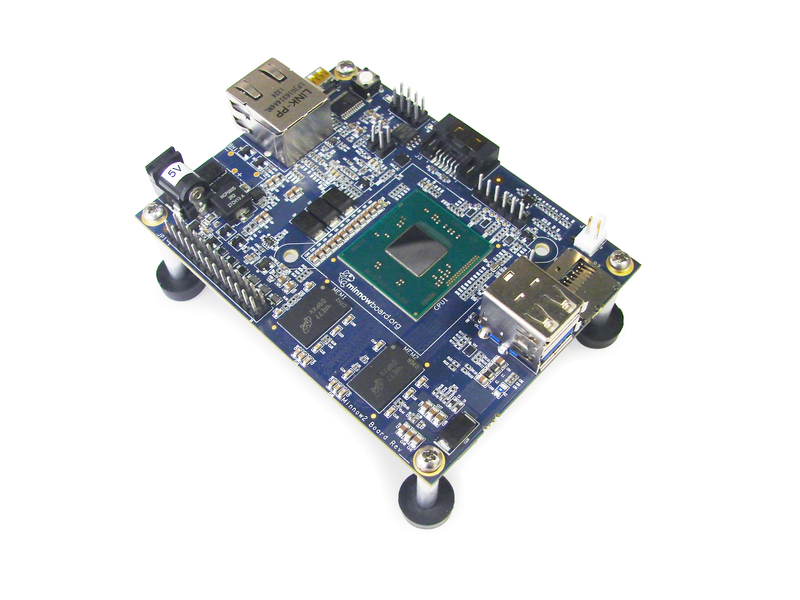 Tails doesn’t work with ARM so you can’t run it from BeagleBones, RPIs, etc… The MinnowBoard Max is an Intel CPU so it supports the Intel architecture that is more popular while being a low-powered board. How do I boot Tails from my MBM? My Dual Core MBM. I have connected: a powered USB hub which has my keyboard/mouse/thumb drive, a FTDI serial cable, 5V power, and a mini-HDMI cable. You may already have the latest 64bit UEFI firmware installed, if so, you can skip this part. You need the 64 bit UEFI firmware on your MBM. You can download it from here. All you need to do is extract and copy the files to a USB drive. Be sure to follow the latest release notes. You need to check if you are running the 64bit UEFI or not. If you are running the 32bit UEFI, you can upgrade to 64BIT, but you need to run the 32bit tool. i.e. you need to match your shoe color to your belt. 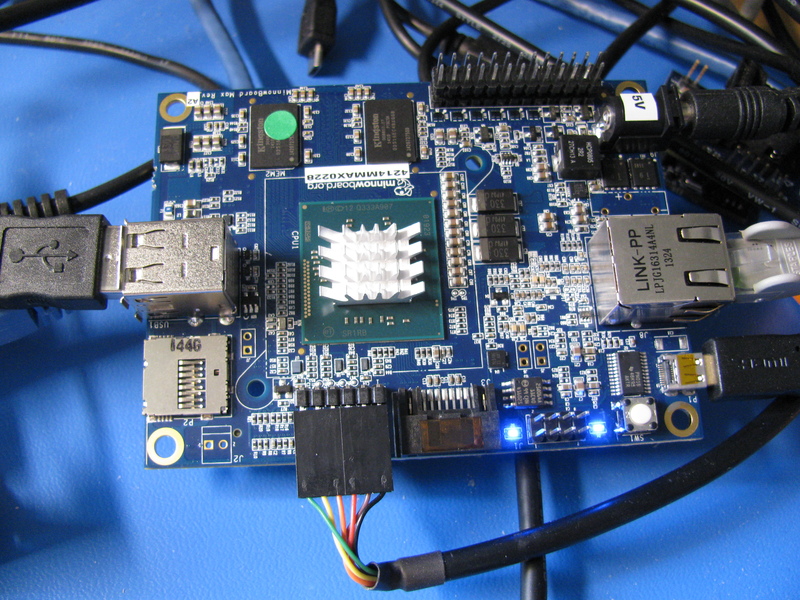 In order to run the tool, you’ll need to connect to the board over serial with a FTDI-like cable or connect mini-HMDI and use a keyboard/mouse. I use this FTDI cable and use screen to connect to the MBM. Follow all of the intel instructions to update your firmware. Now you need to create a Tails bootable USB. You can follow the instructions here. There is a bit of a chicken-and-the-egg though, because the recommend way to make a Tails USB is from a Tails running instance. Which, you can do if you first download a Tails DVD, boot that, and then follow instructions for making a USB. Download the Tails ISO (on the main page). Follow these instructions to download the windows USB creator tool. Be sure to pick GPT partition scheme for UEFI computer in the options. You’ll need to run your mouse/keyboard from a powered USB hub. When I had my USB thumbstick plugged in and then plugged in my keyboard, the MBM crashed. Tails will boot and if you have your HDMI monitor attached, you can use tails from the MBM! 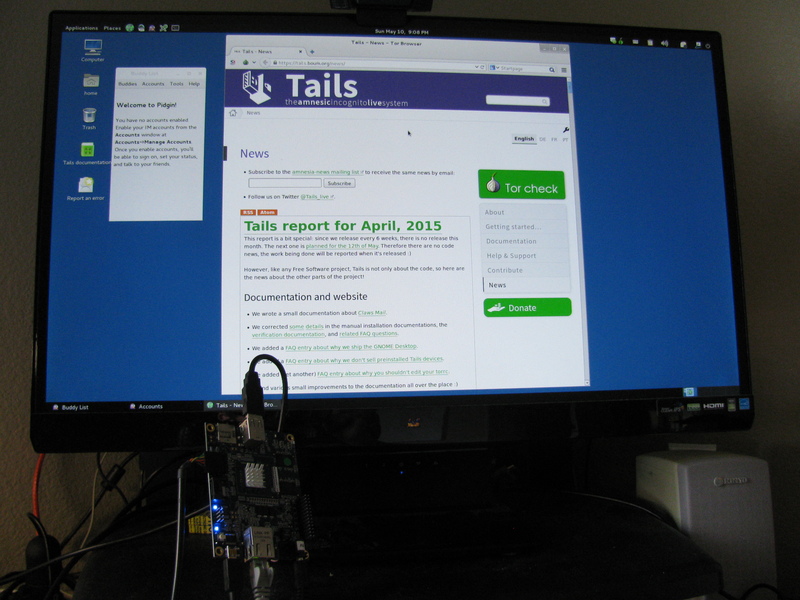 Tails running from a USB stick on the MBM. I’ve done only some basic things like fire up Tor and browser the web. I’m not sure why I need a USB hub exactly, as that’s a bit inconvenient. It’s also a bit slow on the USB stick, but the MBM can boot an external SATA drive… which would need external power. If you happen to be going to IoT World this week, drop a line, I’ll be there!